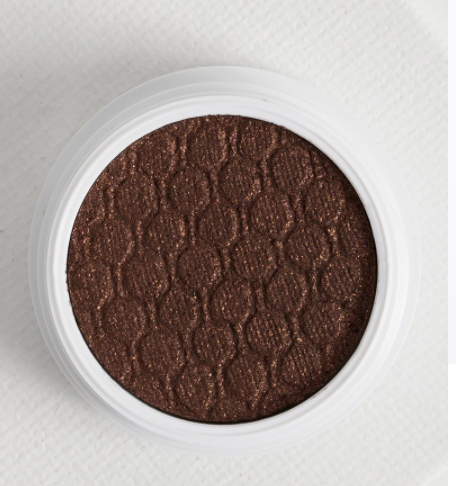 The famous satin finished and long-wearing crème powder formula from ColourPop with a unique bouncy-like texture, when you dip in your finger to do swatches or simply using it around your eyes. It’s super creamy, insanely pigmented, and has one swipe intensity with zero fallout. Ingredients: Cyclopentasiloxane, Dimethicone, Calcium Aluminum Borosilicate, Trimethylsiloxysilicate, Isododecane, Boron Nitride, C30-45 Alkyl Cetearyl Dimethicone Crosspolymer, Silica, Cyclohexasiloxane, Dimethicone/Vinyltrimethylsiloxysilicate Crosspolymer, Phenoxyethanol, Disteardimonium Hectorite, Glycine Soja (Soybean) Oil, Mangifera Indica (Mango) Seed Butter, Propylene Carbonate, Tin Oxide, Ethylhexylglycerin, Cucumis Sativus (Cucumber) Fruit Extract, Iron Oxides (Ci 77491, Ci 77499), Mica (Ci 77019), Titanium Dioxide (Ci 77891). How to use: for max coverage- Use your fingertip and tap shadow directly onto the eyelid. A flat, firm synthetic brush will also work and is perfect for detailed application close to the lash line. To Blend- Use a fluffy synthetic brush with good movement, dip the tip into the shadow and apply with a “windshield wiper” movement throughout the crease of the eye for a soft and diffused look. Where to buy? ColourPop official website. Note: Swatches is without primer base nor foundation. Will I recommend the product? Yes. I wanted to buy in bundle. WORTH IT or THROW IT: K-PALETTE eyeliner review – REALLY K-PALLETE?? ?